Presenting is one of the tasks working for Citrix. I enjoy presenting but I enjoy the interaction with the public even more. When writing on a whiteboard one is faced away from the audience which is bad. When I first heard of a lightboard I was intrigued, that could work. I would face the audience and still write to explain. Light board prices are steep so I thought I’d make one myself. 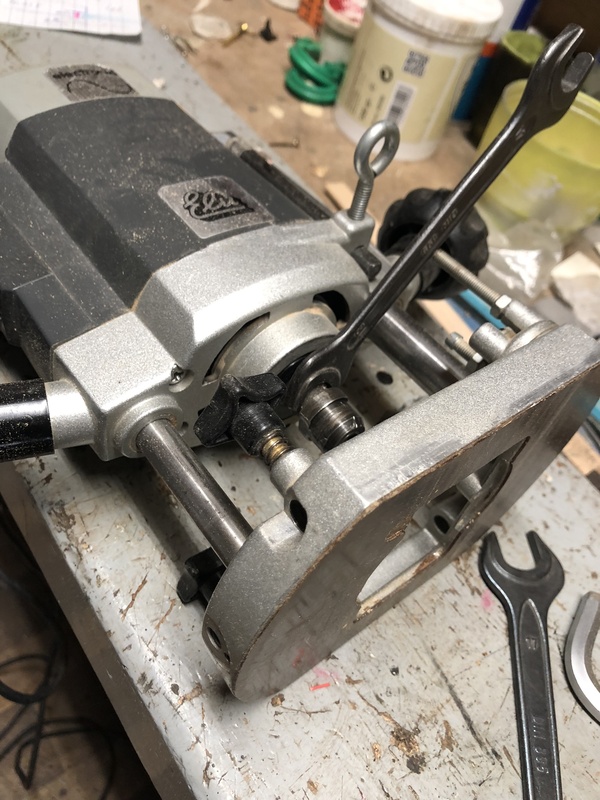 Talked to my dad (70 something) if he’d like to do a project with me and off we went. Let’s look at the light board as a concept. The concept is important. If you understand the concept you can build it. The concept behind it is that you record what is written/drawn on glass. By transmitting light through glass text written on the glass with a fluorescent dye marker is brightly lighted. Depending on the amount of light transmitted through the glass the ink is highlighter more or less. – I’ll get to this, this is crucial. The glass type is important by creating a light board. Normal glass is greenish so if you look through it everything looks green. As this is normal for us we don’t notice it. In museums they use different glass as the art you look at should be shown as it is, and not green. Normal glass vs low iron glass. To make sure light is transmitted best you need a glass with the least amount of iron. By reducing the amount of iron the glass becomes clearer hence the reason museums use it. A piece low iron glass is more expensive so keep that in mind. Although the writing is highlighted by the light in the glass, without a dark backdrop that would hardly be visible. The backdrop of the light board, the backdrop behind the presenter, has to be dark. A curtain or a dark painted wall does the job. With that, you would see the written text highlighted on the glass perfectly. The only thing missing would be the presenter, he or she would be in the dark. Lighting is important in the design of a light board. It is tricky though, too much light or badly pointed light and the dark background is visible. Too little light and the presenter is in the dark. Too much light on the presenter and the presenter is in too much light (shiny bold head issue). There has to be light on the presenter, from the top and from the sides. The lights that light the presenter should not light the background. Bargeboards to prevent light hitting the background. The first step in the construction is creating the frame. 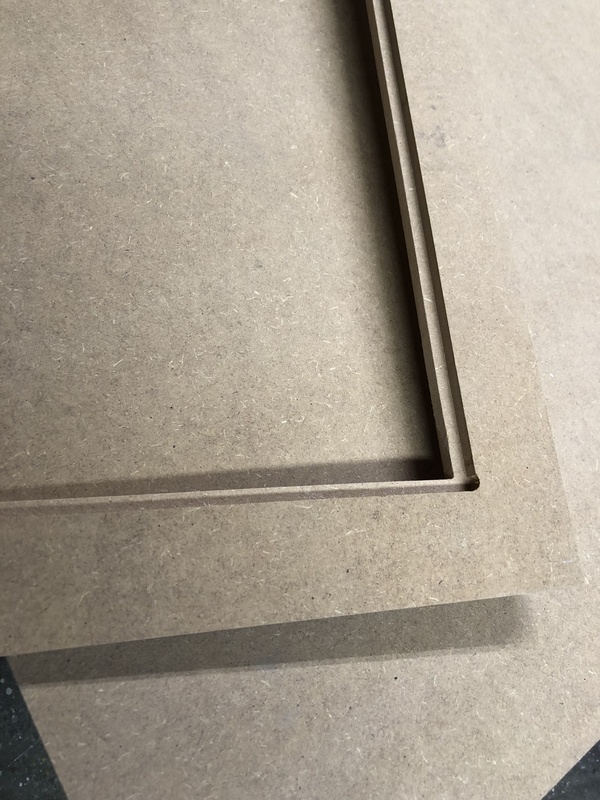 The frame is created by cutting out a rectangle shape in the MDF boards. There are two boards and you need to operate them differently. One of the boards is the one the glass is in and the other one is like the lid. The one with the glass will have some extra work. The image gallery shown gives a good insight. 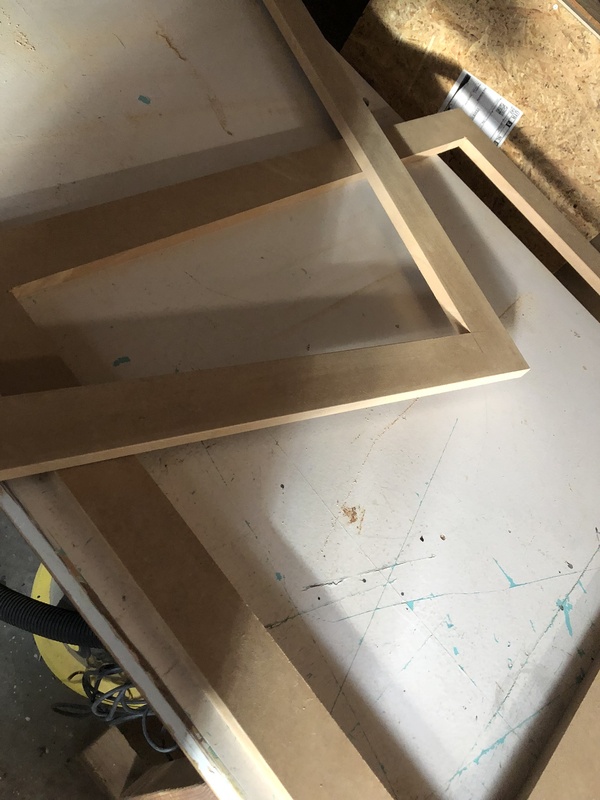 With a circular saw, you cut out the frame. The opening should be (glass size) – ( 2 x 5mm). The 5mm on each side is to keep the glass in. Mind you that is you used a circular saw that it is round. So the effective reach is longer than seen from the top side. Measure before cutting and cut out the rest with a hand saw. 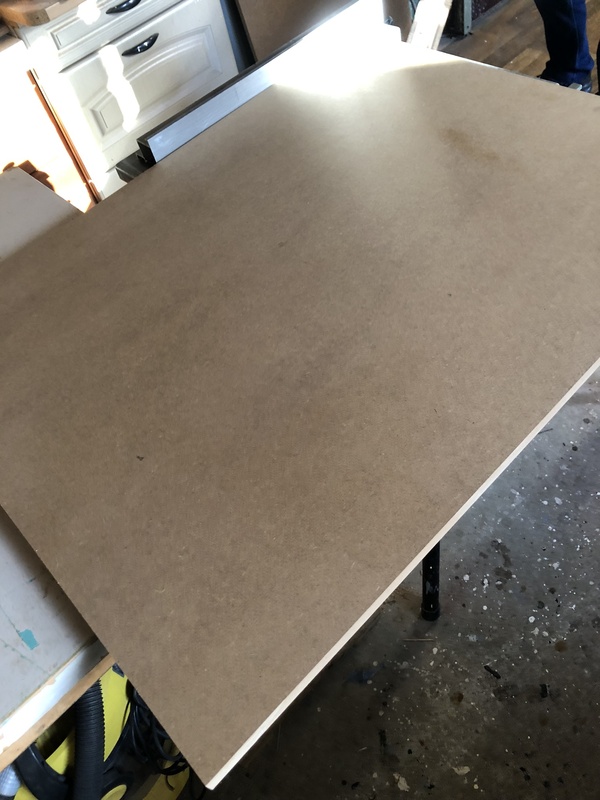 One board of the MDF, let’s call it the bottom one, gets an extra cut. To make the lower cut for the glass you need to mill (Dutch: frees). You need to mill a little bit bigger than the glass as the LED strip needs to fit in as well. Keep some room on the side as well, even though the LED strip is not there the cable connecting both strips will be. 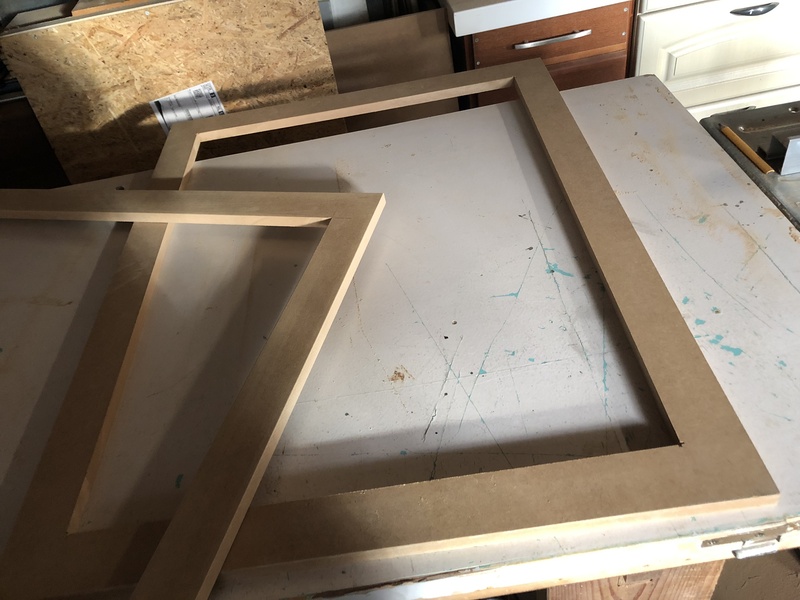 Take a look at the pictures for guidance, once the cutting is done you can paint the frame (I would first try and fit everything) and let it dry. Next up is the LED strip. The LED strip you buy should be long enough to fit in the bottom and top side. There is no need to have light on the left and right side of the glass. I bought a 5meter long strip and had to cut it. As my glass is 60x90cm I needed to strips of 90cm. You could also buy two 90cm LED strips and work with that. I had 5meters of strip so cut it in two 90cm strips. The two strips have to be connected. I had only one power unit so I soldered a wire to the strips. The wire is guided by the side of the frame, I cut away a bit more wood there so the cable had some room (you can’t bend the soldered piece 90 degrees so make some room for the cable.). The LED strip is situated below and on top of the glass, LEDs facing inward the glass (obvious). After cutting and milling, soldering and fitting I put the frame together to give it the first test. This was without a dimmer to dim the light (realized during this test I had too much light). As you can see there are smears on the glass and no matter how I cleaned it, it never got clean (unless I switched of the light). With this test concluded I took it apart and painted it. Constructed something to keep the frame so I can stand up while writing. In my next blog, I will show the setup and explain more on the lighting. I can assure you that the lighting is solved and the smears are no longer there.